The Vyper 2.0 is the next gen of the world's most powerful vibrating fitness roller with award-winning performance and truly professional features. Its superior frequencies and shell design make it almost twice efficient than conventional foam rolling. It is probably the best optimal self-myofascial release tool to increase flexibility, circulation and reduce muscle soreness. Its three vibration settings transmit superior amplitude and vibration for physiological benefits. Vyper promises to increase the range of motion by up to 40% whereas regular form rolling gives up to 18% of it. 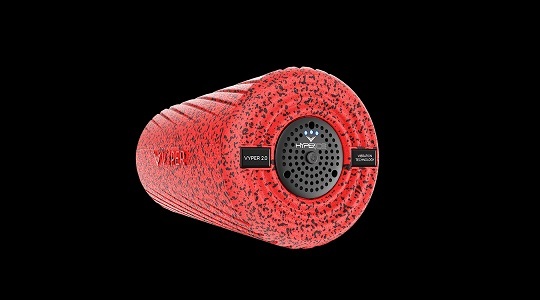 The Vyper 2.0 allows you to warm up, activate and recover faster and more effectively than other rollers out there and used by most athletes recently.